Create a simple weekday-to-weekend style with this shirt. 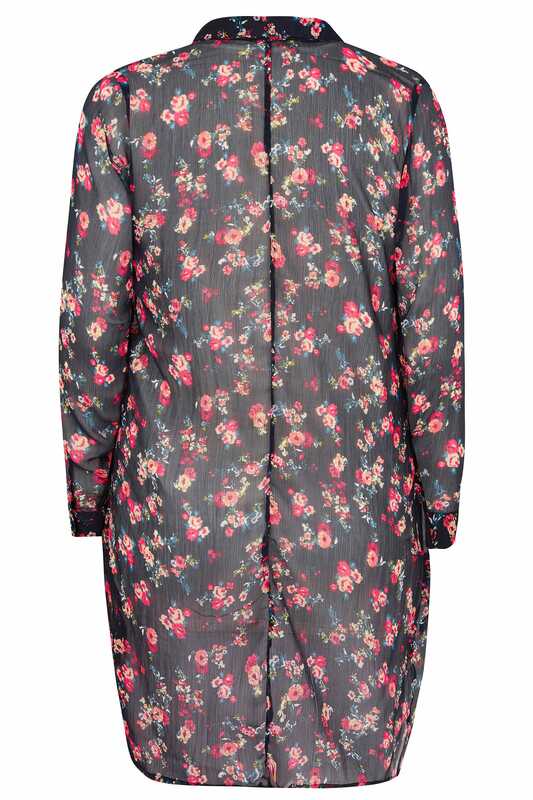 Made from a lightweight chiffon fabric, it features a chic dipped hem for extra coverage, long sleeves and secure button fastenings. 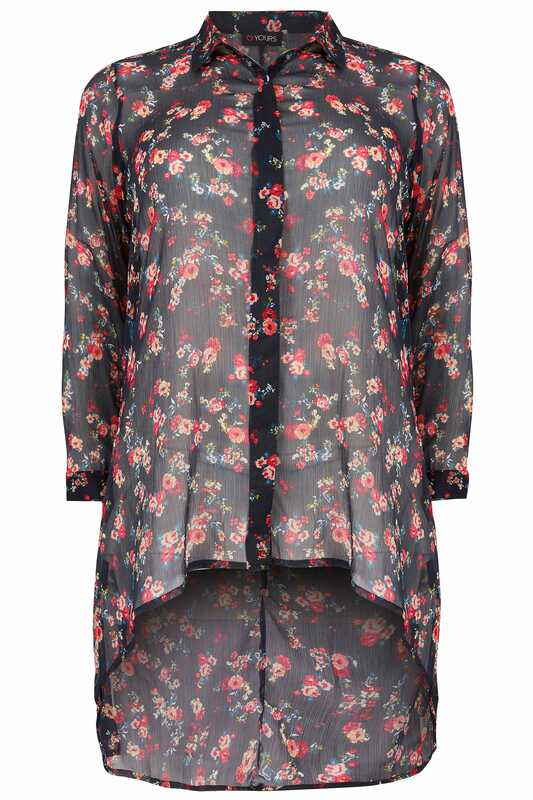 Perfect for teaming with a cami top, jeans and flats or dressing up with a pair of tapered trousers and courts. Loving the navy hue and floral print.